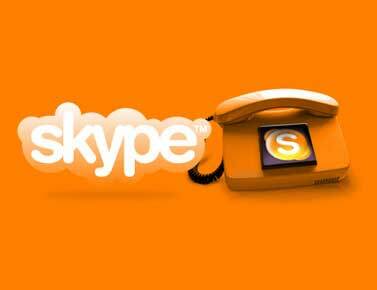 We all somehow use Skype for free calls and video calls via the Internet. Skype is not limited to only calls from computer to computer, there is also the possibility to call via Skype to landlines and home phones. But in order to use this service should pay a certain sum of money to the Skype account. Run Skype. Click "start," then click on "All programs" to open the menu and click once on Skype. Enter your username and password in the corresponding fields in the window that appears. Make sure you are online this will signal a green Skype icon in the lower right corner. Double click on the Skype icon in the lower right corner. In the appeared panel Skype, click "Skype" in the upper left corner of the panel. Click on the tab "Make money on the Skype account". Wait for the download dialog box. Select the payment amount and then click on the "next" button. You have displayed a window in which you can select the method of payment (electronic payments by card or Bank transfer). For example, you can choose the opposite to the column "Other" item PayByCash and click "Go". Opens a browser window on the website of this service. Select the button "Bank transfer" and click on it once. In the opened page Bank account check recipient. His name should be "ZAO Raifeissenbank Austria. Print this page. Fill in the Bank payment receipt according to the information given on this page and pay the amount of money you wish to Deposit. Payment takes place over six days. Once the check clears, you will receive a confirmation to your email you specified at registration in Skype.